There are two common mistakes we tend to make after Creating Value for our men: (1) we do too little, or (2) we try to do too much. We do too little when we don’t plan for the Right Next Step for our men. So many times we Create Value through an event, only to have spent ALL of our time planning the event and no time planning what to do next. This means we go from planning one big event to planning the next big event. In between those events, men aren’t involved in growing in their relationship with Christ. If we aren’t careful, men will begin to think that all it takes to grow is to go from one event to the next event. We do too much when we invite men to an event, only to cram a year’s worth of Bible study in between the food, or at half-time of the game, or after the event when everyone is ready to go home. When you are planning for any event to Create Value, make the follow-up (Capture Momentum) opportunities part of your event planning. Don’t Create Momentum without a plan to Capture that Momentum. In every interaction you have with a man, whether it is one-on-one over lunch, a small group kickoff, a men’s retreat or seminar, or any other activity, you should always be thinking, “What is a reasonable next step?” Then, constantly communicate these steps to your men. Make the Follow-up Fit the Event by determining the types of men you will be targeting. Right-size the Commitment. Don’t ask men to over-reach based on “end-of-event enthusiasm.” Make the follow-up something they can visualize themselves doing – with some of that same enthusiasm. Always Have an Ending Point: Make it short (4-6 weeks) so even if the enthusiasm fades or reality sets in, they can still see themselves “toughing it out” for just a few weeks. Start New Groups for New Men because it’s uncomfortable walking into an already established group. Make it easy for new guys to come to a group. Help Men Take the Next Step…on the Spot. Have the men leading the follow-up groups in place and ready to introduce themselves with all the information (when they will meet, where, what time, etc.). Then have them sign up for one of those groups before they leave the room. 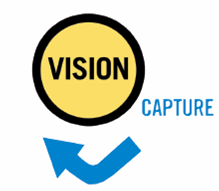 Every leader in your church needs to have a Capture Momentum, “next step” mindset. Always show men a right next step. Getting men to take a first step and then not showing them what’s next is detrimental to helping men grow. Make the time to plan how to Capture the Momentum from your Create Value activities.